Clients often think that collections have to be broken into small lots to maximise their value, though we often recommend that high quality properties are better offered complete as there is a strong market for fine intact collections. A good example of this was lot 1 in the June auction, a superb British Commonwealth mint collection in a pair of Imperial albums. The collection was offered complete with an estimate of £15,000 and viewed numerous times prior to the auction. At the auction there were a number of serious bidders and the auctioneers hammer eventually came down at a price of £37,750, a remarkable result for the vendor. Likewise the sister used coln, estimated at £8,000, sold for £19,500. 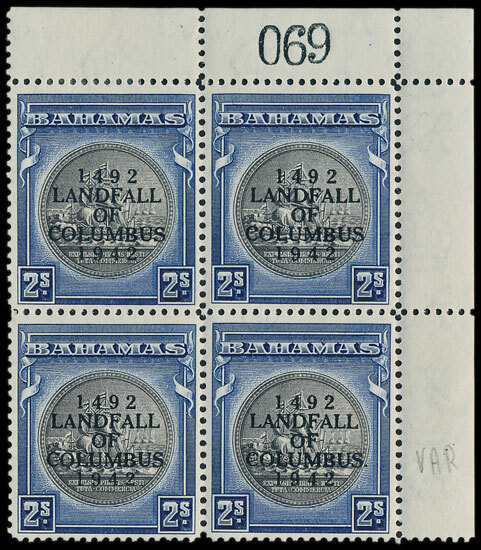 Better quality Omnibus collections have been in demand recently so a 1948 RSW UM set, each high value with marg plate number, was bound to be popular. The collection eventually sold for £1,240. The auction included remaining items from the Len Mason Bahamas 1942 Landfall collection. 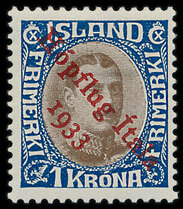 Amongst these a 2s marginal block of 4, the bottom right stamp with variety ‘stop after Columbus’ sold for £3070. 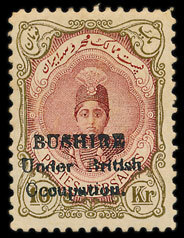 The British occupied the Iranian port of Bushire in 1915 and overprinted stamps were released for local use. 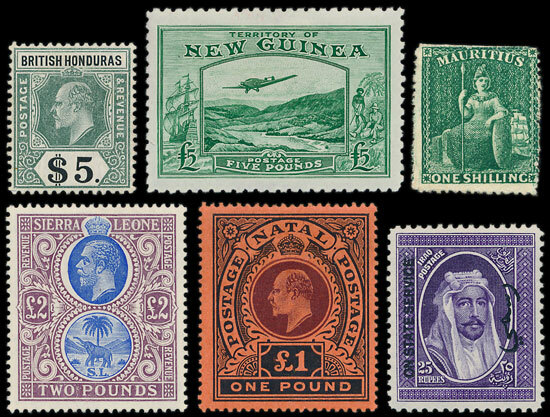 The auction included a mint set of the August issues which sold for £885. 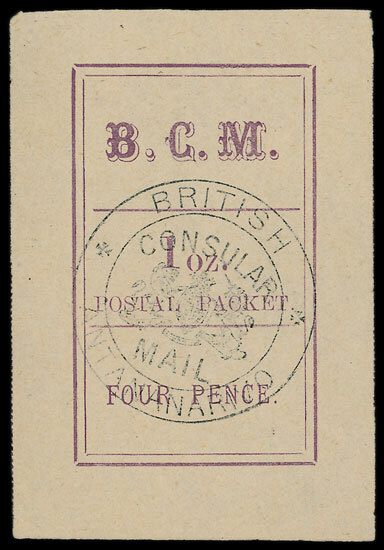 An unusual collection of Madagascar British Consular Mail issues sold for £740. 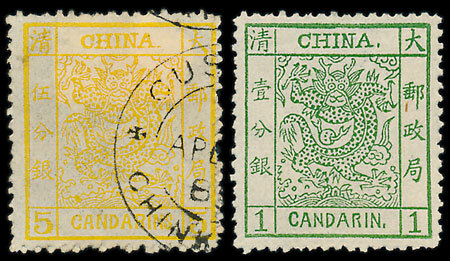 A China collection from classics including large & small Dragons sold for £2480. In 1933 the Italian aviator Italo Balbo led a massed flight of 24 seaplanes that used Iceland as a stopover on their flight to America. 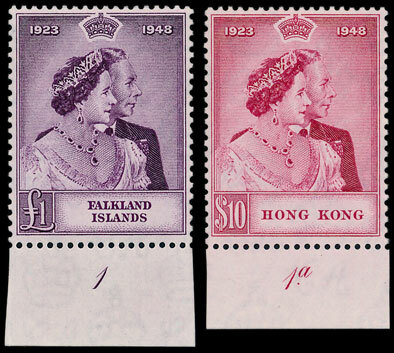 Despite some political protests, this was considered to be a significant event and a set of overprinted stamps were issued to commemorate the visit. The auction included a mint set with a 2016 certificate describing them as ‘flawless’. The set sold for £460. 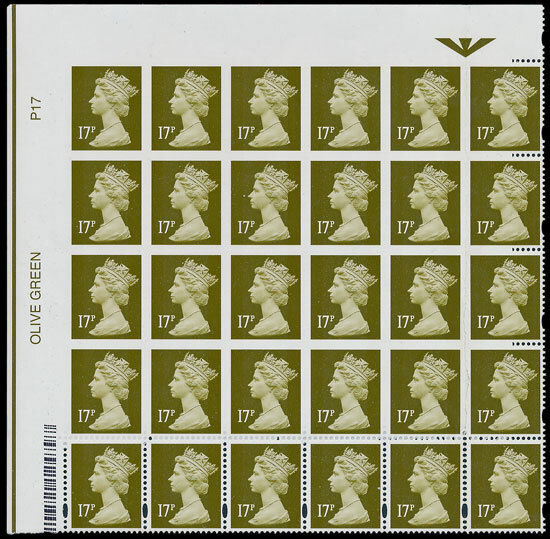 A spectacular Machin imperforate block sold for £2950.